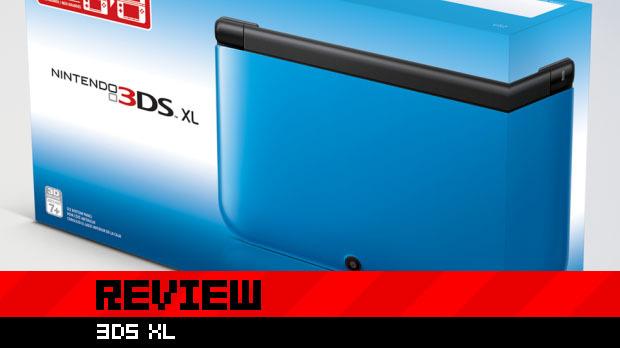 The idea of an "XL" DS alternative has always sounded a bit silly to me. It's just like the system I already have, but bigger? What's the point of that? Of course, like gaming PCs and iPads, it's always easy to besmirch a system that you don't own -- and like gaming PCs and iPads, having actually gotten my hands on the 3DS XL, I have to say that I can now see the appeal more clearly. Now I just wish that system alternatives like this were available at launch, rather than held back in the hopes of doubling down on sales later. In short, I'm really liking the 3DS XL, because it's just like the system I already have ... but bigger. As the owner of a pair of fat, meaty, particularly large hands, I certainly appreciate the larger scale of the 3DS XL. It's far more comfortable to use, with the space between the shoulder triggers, nub, and face buttons situated in more adequate positions in accordance to my needs. 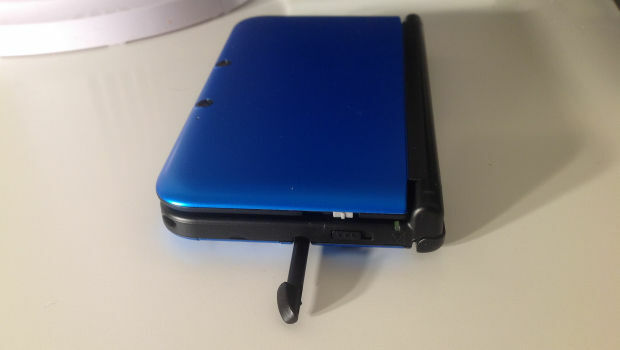 After only a short time with the original 3DS, my thumb would feel cramped from bending awkwardly over the nub. On the XL, my hands rest in a more relaxed position. The overall form is pleasant, and addresses a few issues I had with the original system. For one, the glossy finish has been replaced by shiny matte plastic, allowing it to retain a sparkly look without drawing smudges and fingerprints all over the shell. The finish coupled with the rounder edges make the system look a lot more "kiddie" than the previous model, but that should only worry the most self-conscious of gamers. 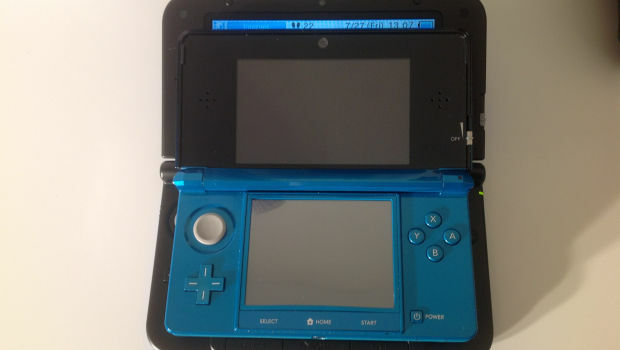 More importantly, the moisture that would creepily collect on the 3DS screen when the system was closed appears to have been eradicated. You no longer have to wipe two streaks off the top screen every time you open it up. 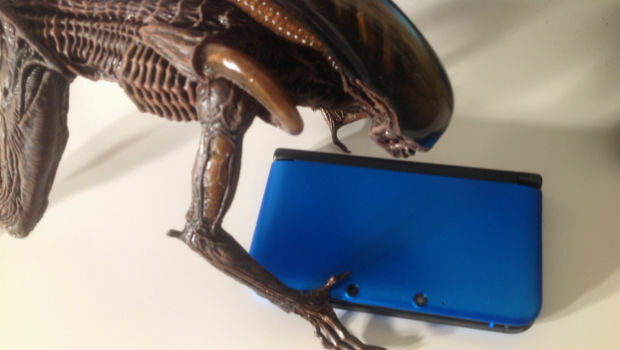 The 3DS XL opens with a series of cracking noises, a clickiness that some will welcome, but always make me fear that something is about to break. Underneath the bottom screen, the Select, Home, and Start buttons are wider and more prominently defined, making them far less awkward to use and easier to identify. The Home button still feels somewhat remote, making the thumb stretch longer than it should to hit, but it's definitely a step up from the smaller version. The touch screen has a rougher finish, to the point where the the stylus (now located on the side of the system where it's easier to retrieve) almost feels like it's "scratching" when dragged across. We'll have to wait and see if there's any long-term effect to this, but it certainly takes a little getting used to. Hopefully the only difference is aesthetic and there are no serious problems arising from the new sense of friction. 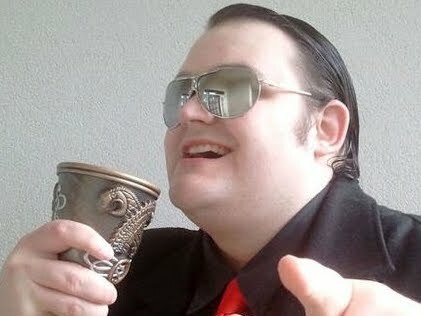 What everybody wants to know, of course, is how hideous the larger screens make the games look. 3DS games, so far, don't look too bad at all. The increased size certainly exposes the relative inferiority of the graphics as compared to other systems, but it doesn't make them look notably worse than usual. The only real issue is the fact that character models are more "jagged" now as a result of them being magnified for greater scrutiny. As one might expect, DS games don't look quite so hot. They're not hideous, by any stretch, but you can tell they're not meant to run on screens this big. Virtual Console titles appear solid, neither harmed nor improved by the bigger size. The 3D effect feels less "deep" on the XL, as one might expect from a screen that effectively pulls the viewer close to the visuals. As a result, the 3D is a little more subtle for the most part, although when a game really throws something to the forefront, the effect is more noticeable. There's no longer much of a difference in color and quality when the 3D effect is switched off. I've noticed that the larger screen allows for a bit more flexibility in where the viewer's eyes are positioned. The window for head movement has expanded, with "ghosting" visuals no longer so quick to appear. The downside is that when visuals do ghost, it's far more blatant and unsettling. Nothing has really changed internally, of course. The Wi-Fi infrastructure is still nowhere near as good as it could be, and performing simple actions like browsing the eShop still require pointless "preparation" stages and lengthy loading. The only tangible internal difference is the longer battery life, which will be a welcome fresh addition to those still playing the crap out of their systems. I'm not sure that I'd pay out of my pocket for a 3DS XL, having already bought the original at launch. However, for those currently in the market for Nintendo's 3D system, I'd say the XL is the superior choice, and something I would have appreciated sooner. The comfort factor alone makes it an infinitely better system than the original, with the longer battery, smudge-free finish, and better stylus placement acting as icing on the cake. 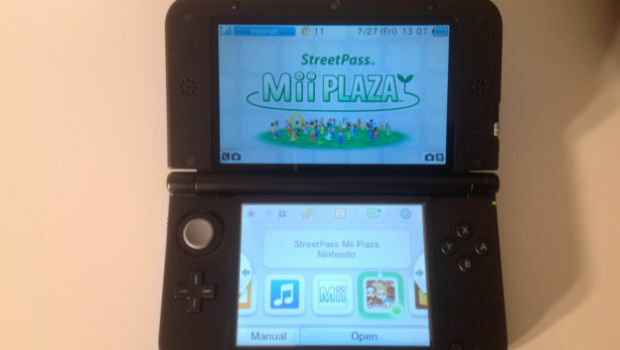 Those with money to burn and a willingness to purchase multiple iterations of the same system will likely be rewarded for doubling their 3DS purchases here. It really is a neat little improvement. All that said ... and despite Nintendo's excuses ... I really would have appreciated that second nub.